Including API tests in your test-driven development (TDD) process provides a host of benefits to engineering teams across the lifecycle that get passed down to customers in the form of better quality services. Read on for reasons why. One of the most common ways to see companies benefiting from API monitoring is in production—making sure those live API endpoints are up, fast, and returning the data that’s expected. By monitoring production endpoints, you’re in the loop as soon as anything breaks, giving you a critical head start to fix the problem before customers, partners, or end-users notice. But, at this point, it may already be too late, as the customers will be unsatisfied and unhappy with their restful API not working or being inaccessible. However, most of the companies that are also building restful API's are starting to create those API tests during the build process in staging and dev environments. The goal of this is that one can actually begin testing API endpoints before they’re deployed to the customers, which means that we’re testing to make sure everything is exactly as we’re promising before we deliver the API's. Including API tests in your test-driven development (TDD) process provides a host of benefits to engineering teams across the lifecycle that get passed down to customers in the form of better quality services. If you wait until after development to build your API tests, you’ll naturally build them to be biased toward favorable test cases. Once an API or piece of software is built, you’re focused on how it’s supposed to perform instead of the other, equally likely scenarios, in which it will fail. Plus, much like iterating on software during development, iterating on API tests will only make them stronger and more comprehensive, which will benefit the team in the long term, raise the product (or API) quality, and will decrease the number of faults that were to be found in the future. Covering all the bases of potential software failures is a critical component to maintaining a quality product and customer trust. API testing during development can reveal issues with your API, server, other services, network, and more that you may not discover or solve easily after deployment. Once your software is out in production, you’ll build more tests to account for new and evolved use cases. Those tests, in addition to the ones you built during development, keep you covered for nearly any fail scenario, which keeps QA and customer support teams from being bombarded with support tickets. One of the best reasons to create API tests in the early stages is the rewards you’ll feel after deployment because the bulk of your tests will already be taken care of. For instance, Runscope allows you to reuse the same tests in multiple environments, duplicate and share tests. Your dev and QA teams build tests and use them in dev and staging environments; then, your DevOps teams can reuse those same tests and run them on a schedule in production to monitor those use cases. DevOps then iterates and adds more tests, which can be reused by dev and QA teams when building out new endpoints. Reusing API tests across the development lifecycle facilitates collaboration among teams and provides a more comprehensive and accurate testing canon. 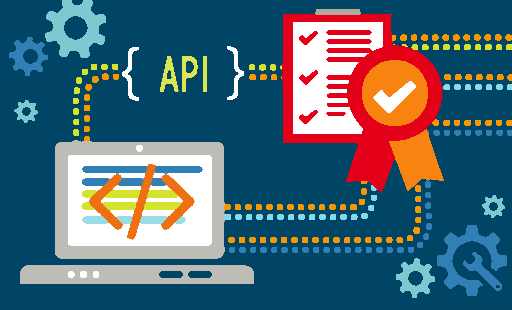 You can incorporate restful API testing into your development process a couple of different ways. Many of the companies include API tests in their continuous integration (CI) and continuous deployment (CD) processes either with trigger URLs or a direct plugin with Jenkins. If an API test fails during CI or CD, the process is stopped and the API issue must be fixed before the build is complete. Including API tests in this process gives engineering and product teams more assurance that all they’ve covered all the bases before releasing product to customers. You can also build tests specific to an API that’s in development, similar to how you would when building other software in TDD. Test new endpoints as they’re being built in development and staging, then trigger them to run as part of your CI/CD pipeline. API testing is at the core of API monitoring, which is just running on a schedule the tests you create either in development or post-deployment. Building API tests during development of any software or service has far-reaching benefits across teams, all the way down to how your customer experiences the product.